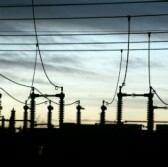 The Energy Department has selected an industry team composed of Veracity Industrial Networks, Schweitzer Engineering Laboratories and Sempra Renewables to develop a networking platform designed to keep utility and industrial infrastructure operational in the event of a cyber attack. Engineers from the companies will incorporate Ethernet communications technology into the new networking system, automate intrusion and malicious threat detection, reroute critical data and contain affected network areas, Veracity said Thursday. “Our team is proud to be working for the DOE in the national interest toward preventing hackers from causing catastrophic disruptions to U.S. industrial and utility infrastructures,” Veracity CEO Paul Myer said. The DOE project also covers the development of a state policy enforcer application, industrial control system extension to the software-defined networking specification through the use of the OpenFlow protocol, DIN rail mount SDN Ethernet switch and capability to encrypt and decrypt packets.